So much goes into booking a holiday, where to go, where to stay, how to get there, changing currencies and so much more. All of these I must say are processes that I love. My least favourite is when the holiday ends. The journey back always seems to take that much longer and involves more hassle; though in theory it’s probably not the case. At the beginning of 2017, my mind wandered to Malta and before I knew it, I had booked myself on all-inclusive package holiday with TUI. Why did my thoughts turn to Malta? Well I’d already heard good things plus I was looking for winter sun, not too far away, not too expensive, just relaxation and a little exploration. All these objectives were met and then some. Suffice to say my time there was amazing, so much so, I returned later that year in December. Here are a few suggestions of what to eat, see and do based on my time there, but first a bit of history. Malta is an archipelago situated in the middle of the Mediterranean Sea and very near to the ‘toe’ of Italy, Sicily. Malta, Gozo and Comino make up the inhabited parts of the islands with Malta the largest and most inhabited. Malta was ruled by many colonial powers with The Brits being the last to rule from 1814 before the country gained its independence in 1964. 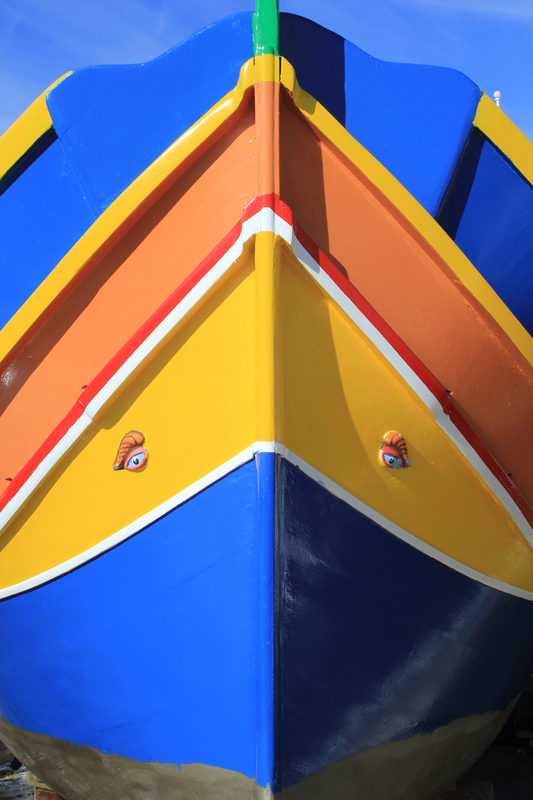 Maltese is the official language, with English being the second and is widely spoken. If you are looking for the quieter side to Malta then Mellieha Bay is the area for you, located in the north of the Island and very close to Gozo which is a 20 minute ferry ride away. 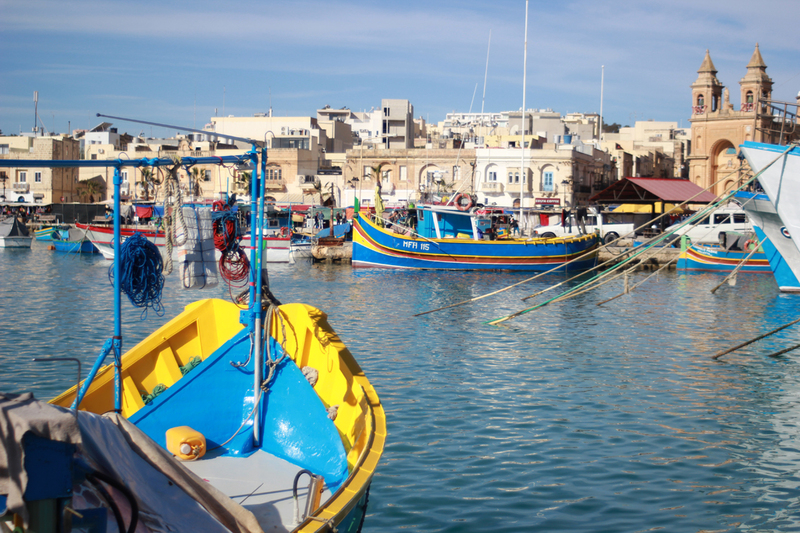 If you’re in need of a bit more action and night life it’s really easy to get around Malta with the capital, Valletta, only 23km away which offers more bustling areas such as St Julian’s, and Bugibba nearby. The transportation system is also good, a single fare bus ride costs €1.50 /€2.00 depending on season – it’s an easy and cost-effective way to travel around the island. 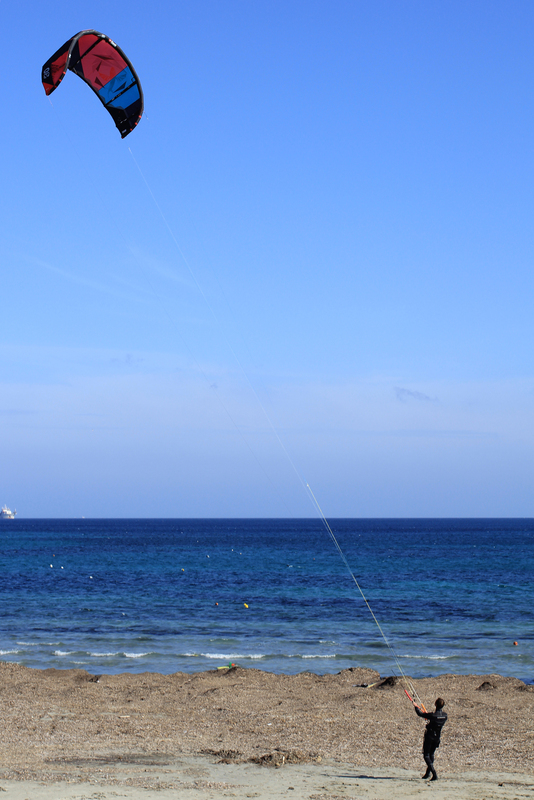 Mellieha and Ghadira Bay are great areas for walks and beach activities such as kite-surfing. Popeye’s film set is a popular tourist attraction also close by. 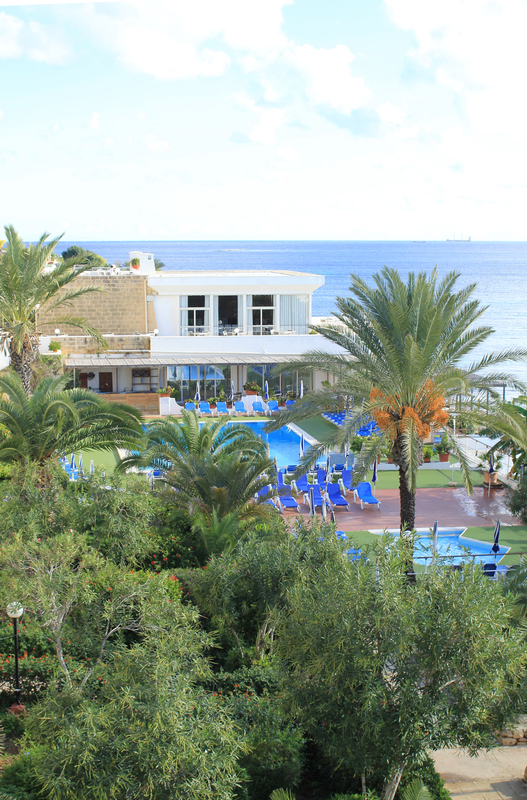 Mellieha Bay Hotel is where you’ll want to stay; it’s a large complex, which stretches along the side of the bay. 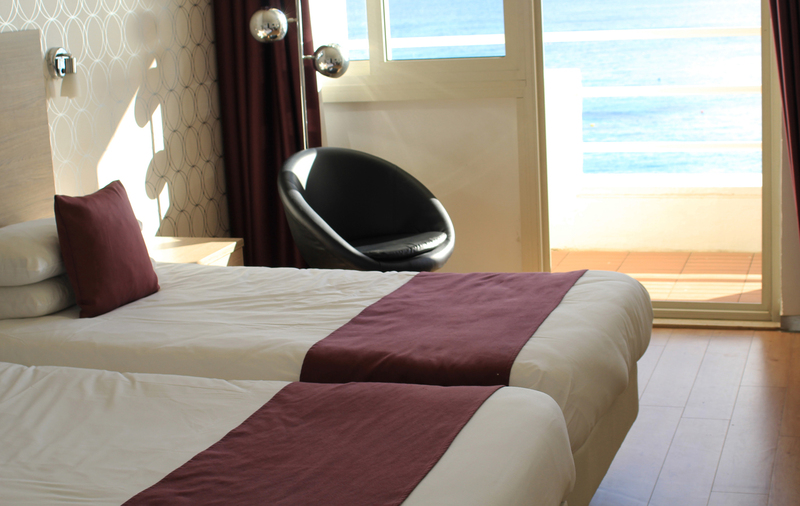 The hotel boasts 313 well equipped rooms all of which have spectacular views overlooking the sea and Ghadira beach. The hotel is 4-stars. It’s a real home from home and I stayed here on both my visits to Malta, the second as a guest. There’s everything you’d expect from an all-inclusive and there is also a half –board option. 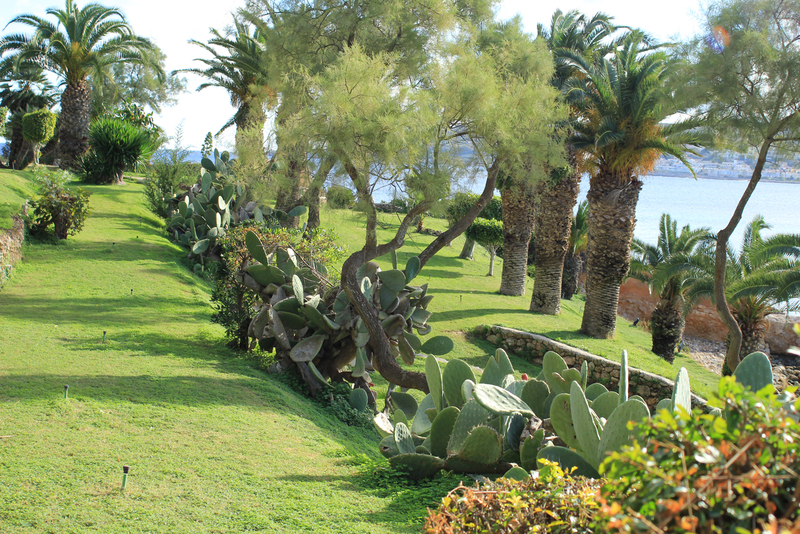 The staff are friendly the pools are clean and the gardens where you are free to roam, are beautifully maintained. The hotel also has its own small private beach. Food can be a bit touch and go at some all-inclusive hotels but here the food is fresh, tasty and varied. 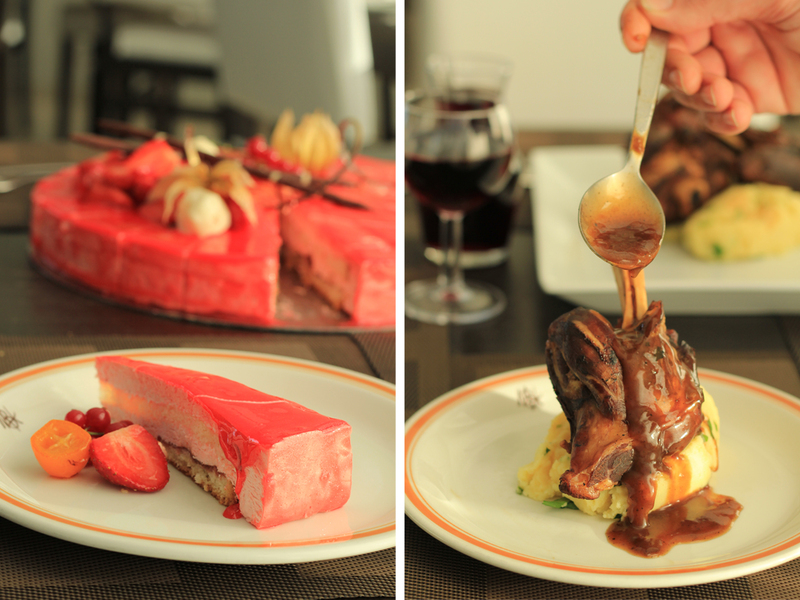 Most of it is buffet-style although you can have a concise selection of food made to order at the bar during the day. Drinks are local, but non-local is available for extra. They also have their own in-house entertainment. There’s a mix of clientele, ranging from the older generation, couples or families to the solo traveller. The hotel caters for all, though if you want more nightlife, you’re better off heading into Bugibba. But for sun and relaxation by the beach or pool this place is perfect. You can grab a real bargain if you go out of season, check out their website for more information. If you do stay in Mellieha, you can’t not travel that little bit further up the Island to Cirkewwa and hop on a ferry over to Gozo. It’s about a 25-minute crossing. I spent the day travelling on one of their hop on hop off buses. 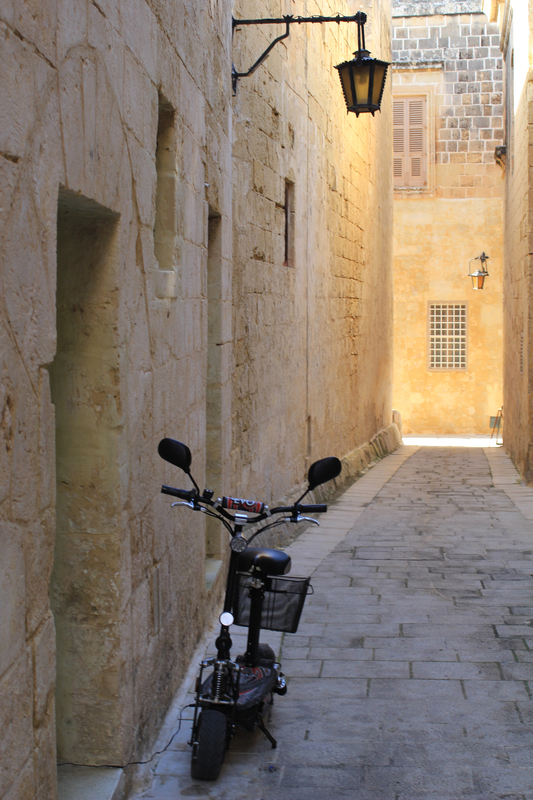 It’s older in looks than Malta, feeling like time has stood still in places, very charming. 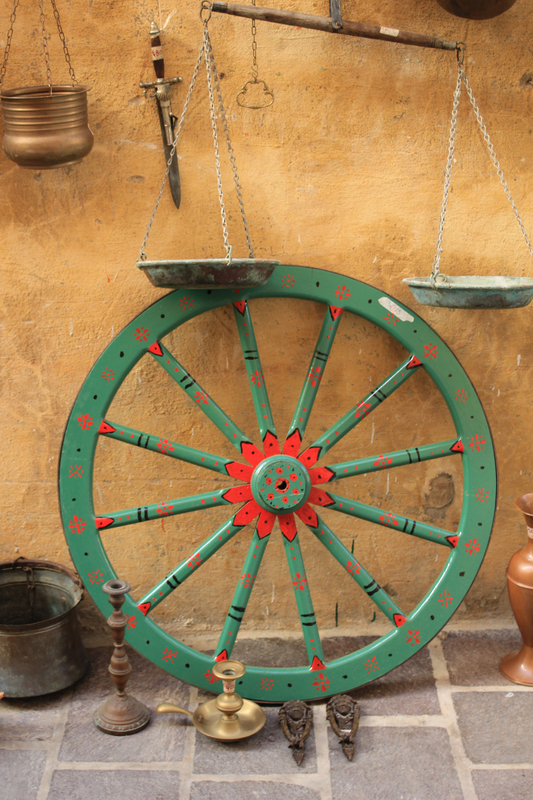 It-Tokk Market was a highlight, with its nice little shops offering fresh fruit, vegetables and produce. 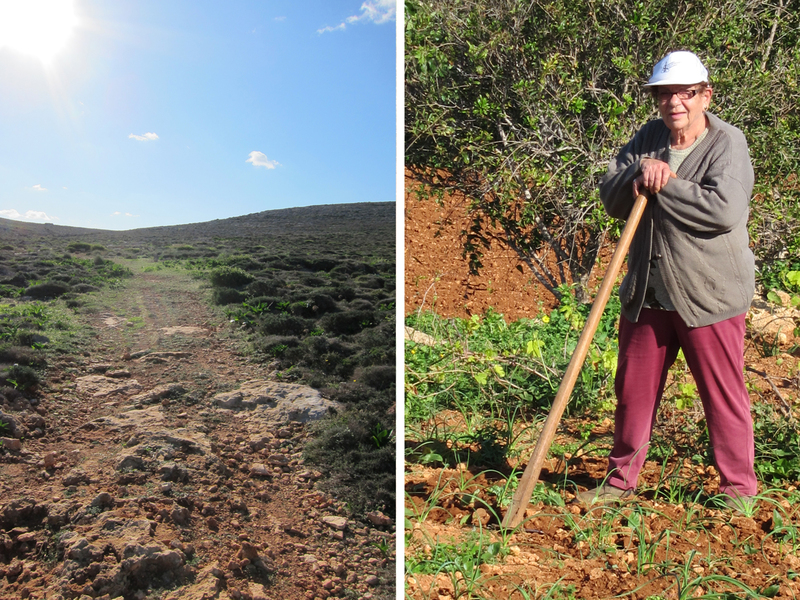 Gozo is also known for producing an amazing sheep’s cheese called Ġbejna. It tastes great but I was particularly taken by the pickled and peppered varieties. 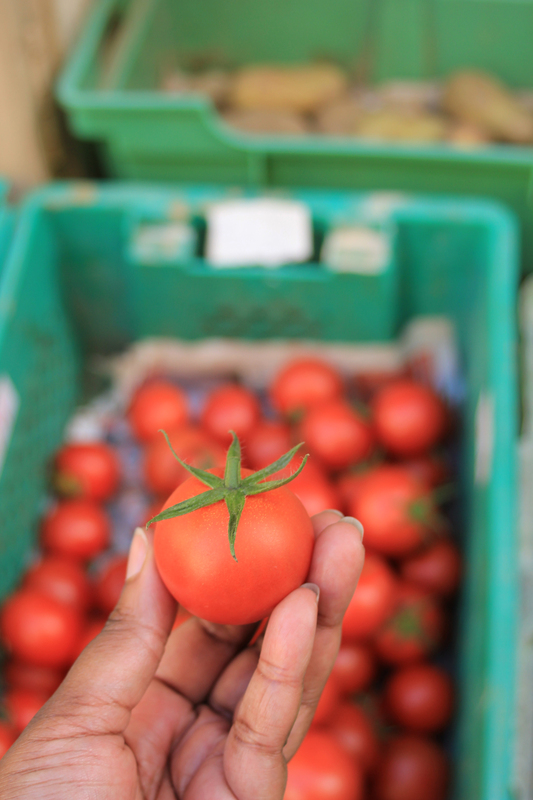 I also got to taste local tomatoes – which were bursting with flavour! 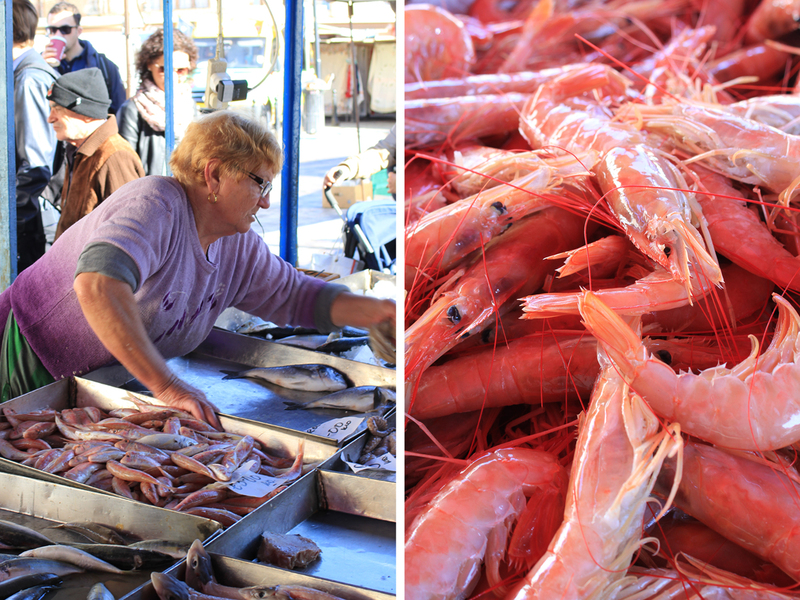 If you are a lover of fresh seafood, you have to visit Marsaxlokk. 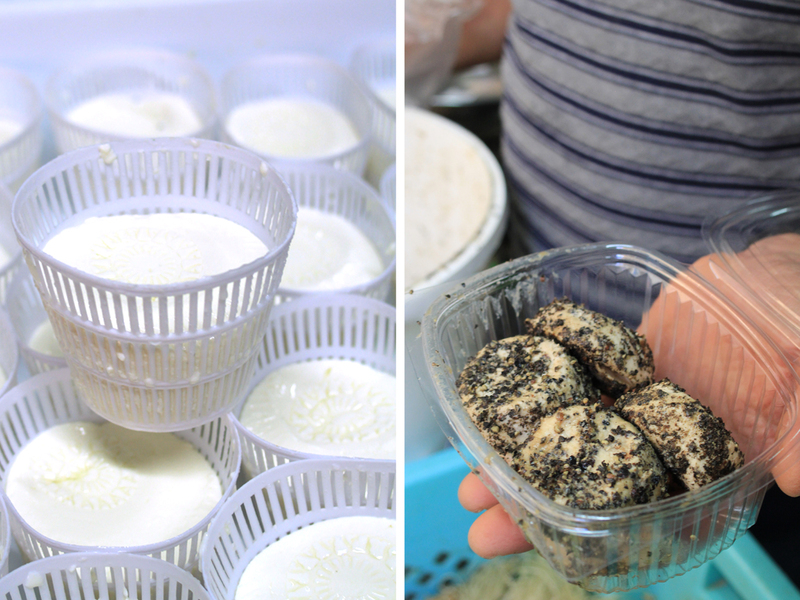 It’s about an hour’s bus journey from the hotel, and you will need to get up super early to see the best of the market but it’s well worth it. Marsaxlokk is a fish market in the south of Malta. 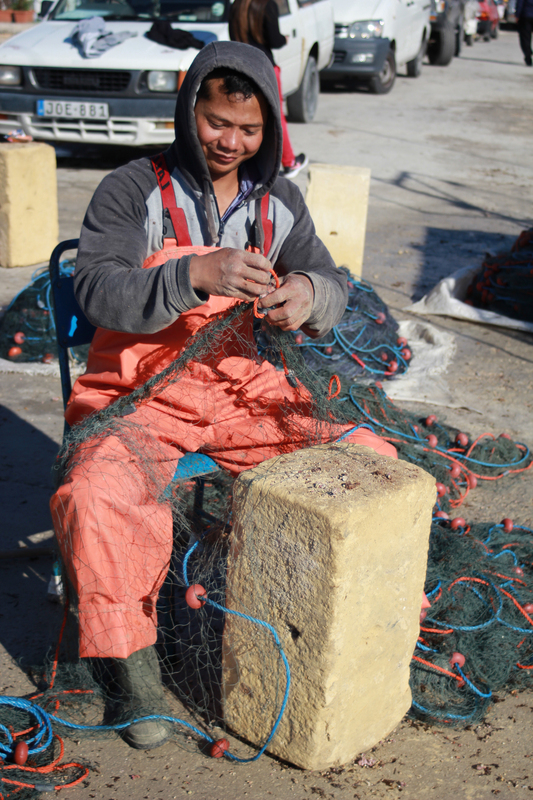 It’s famed for its fish restaurants and general market, where you can purchase fish caught fresh that day. It’s a bustling, memorable place. 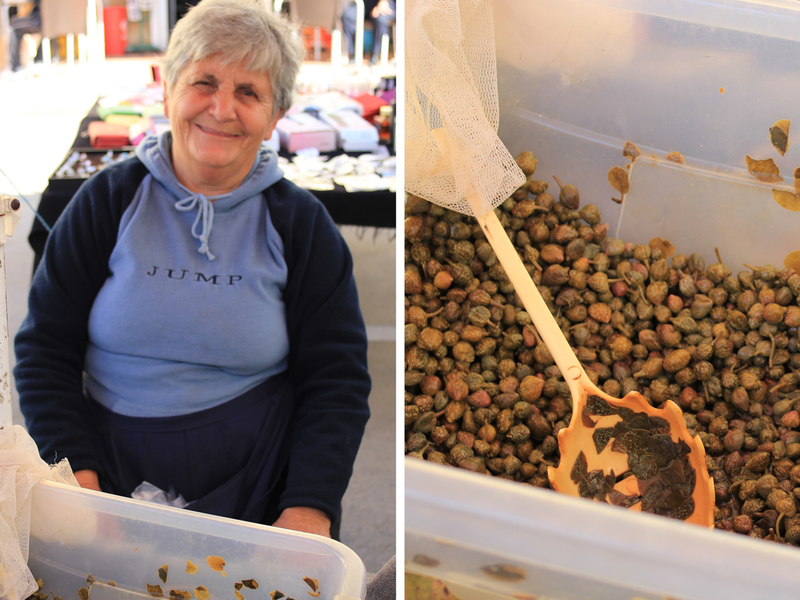 As well as fresh fish you can also purchase an array of other produce, such as sweets and pastries, fruit and vegetables and punchy, salty capers which Malta is also famous for producing. It also sells a selection of electrical goods and clothes. It’s a random market but with fish at its core.